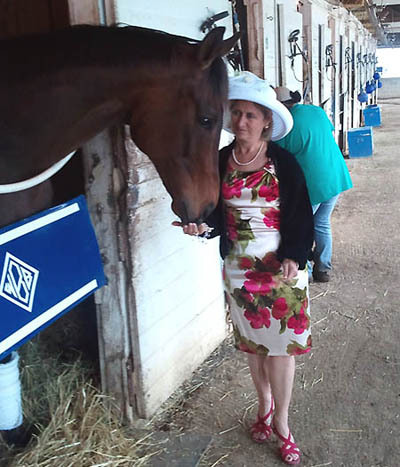 Suzie Oldham and Brass Hat at Churchill Downs, Derby Day 2011. 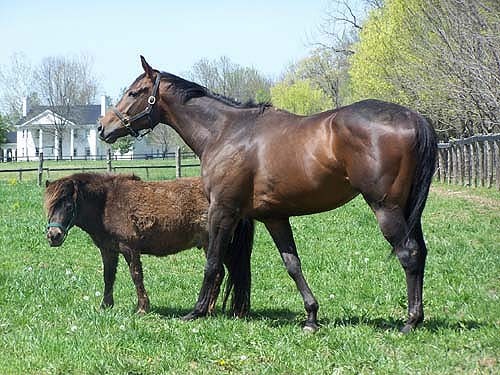 Suzie was responsible for the mating that produced Brass Hat. 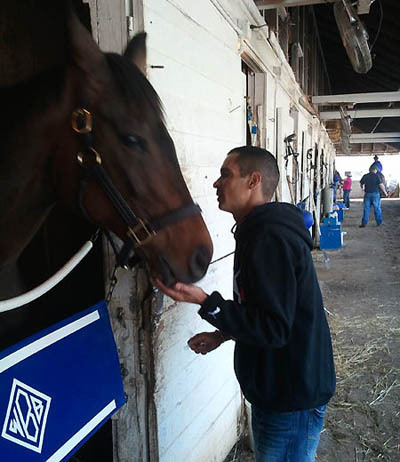 She's a life long friend of the Bradleys. 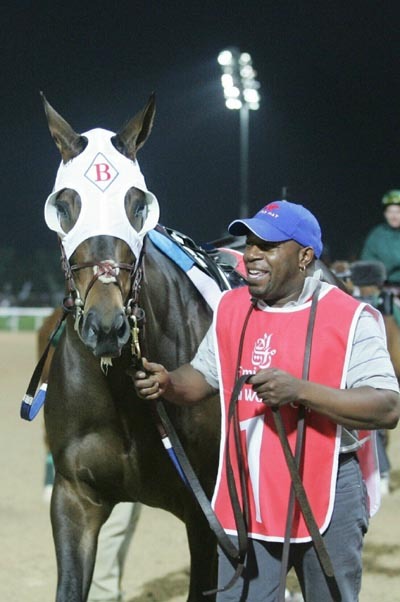 Buff Bradley began his career as an assistant trainer for Suzie's father, Clarence Picou. 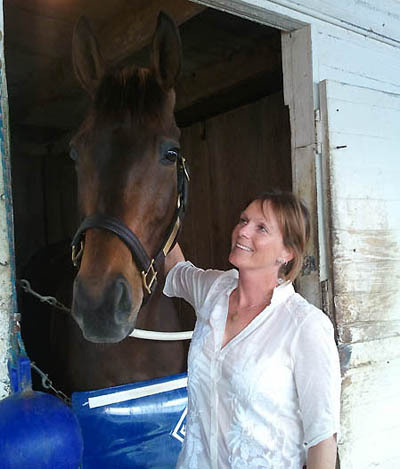 Brass Hat and his favorite equine therapist Dianne Volz. 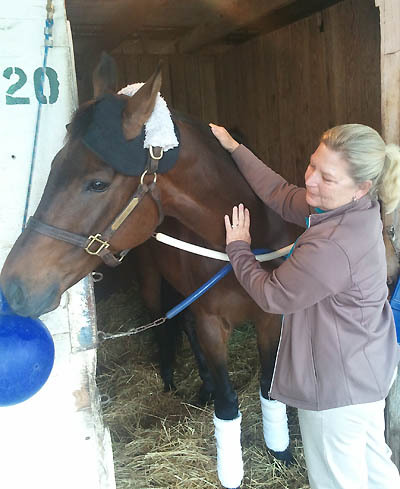 Brass Hat and his massage therapist Julia at Churchill Downs. 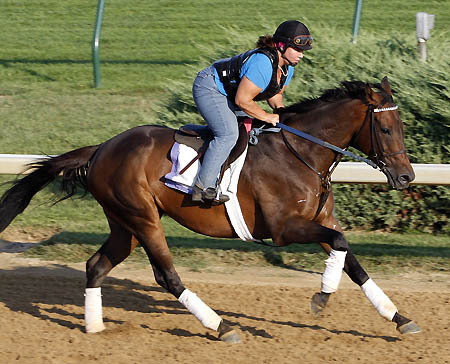 Maria Kabel is Assistant Trainer, Exercise Rider and Groom of BRASS HAT. 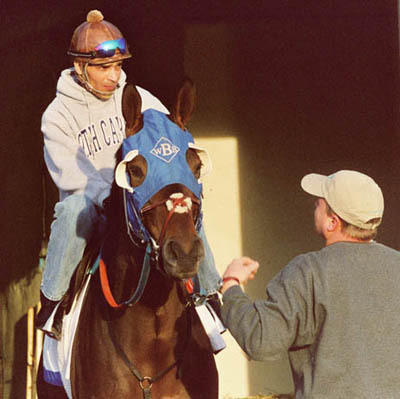 Jockey Willie Martinez and Brass Hat at Churchill Downs. 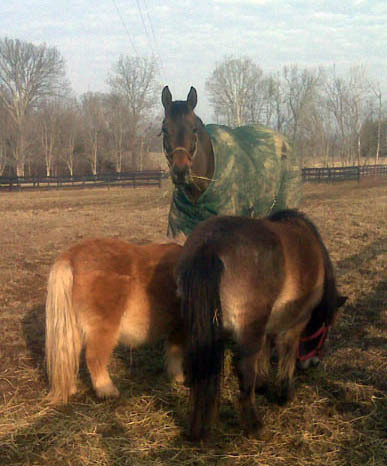 Brass Hat with his vacation and retirement buddies Magic and Goliath.